After Masahiro Tanaka allowed a double and two walks, the New York Yankees’ Japanese righty gave up a grand slam to White Sox shortstop Tim Beckham. The Yankees couldn’t recover from it, losing yet another series to a poor team. Masahiro Tanaka started off his fourth start of the season pretty well, but it changed quickly with the grand slam. He allowed just one hit through the first three innings. To start the fourth, Yoan Moncada hit one to Aaron Judge for a single, but Judge threw him out at second with ease as Moncada tried to test him. But right after, Jose Abreu doubled and two straight walks to Yonder Alonso and Eloy Jimenez set up Anderson for his grand slam. In the fifth, a single, double, and a walk by Tanaka loaded the bases again. That was enough for Boone to pull him, putting Luis Cessa in. He allowed a sacrifice fly that scored a run, but got out of it without further damage. 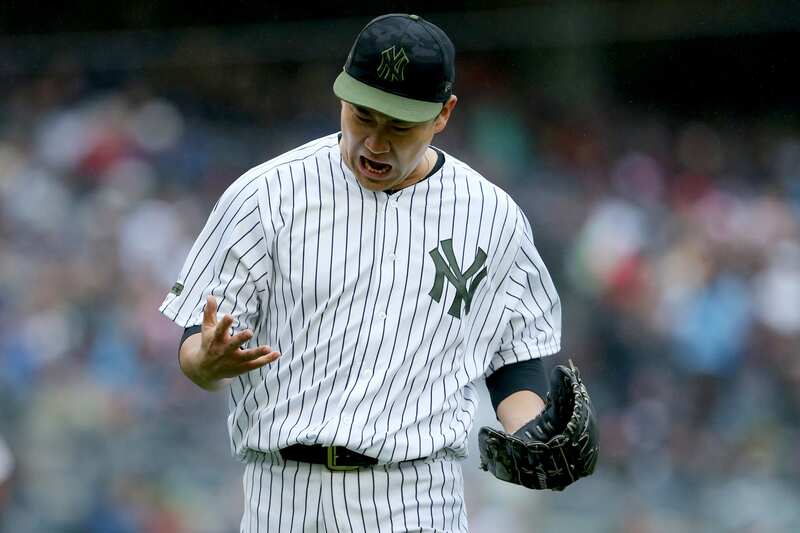 In 4+ innings, Tanaka allowed five runs, seven hits, and struck out six but walked three. His ERA rose to 3.22. Cessa pitched 1 and 1/3 scoreless innings to his name, then Kahnle came in for the final two outs of the sixth. Adam Ottavino, Joe Harvey, and Chad Green followed with scoreless innings. The Yankee offense scored two runs on Sunday, and those didn’t even come easy. They had just four hits. Luke Voit started it early with an RBI double in the first, and Aaron Judge had an RBI single in the third. That was it. The four hits came from Judge, Voit, Torres, and Urshela who each had one. Giovanny Urshela is showing he belongs on the Yankee roster, showing off his glove whilst batting .313 so far. After a day off on Monday, the Yankees begin a two game series with our good friends from Boston. Game one begins on Tuesday at 6:35PM on YES Network and FOX Sports Go. James Paxton gets the ball for the Yankees against Chris Sale for the Red Sox. New York Giants: Could Top 3 Quarterback Prospect Slip to 17th Overall?